Now with Arm&Hammer inside for ordor control. 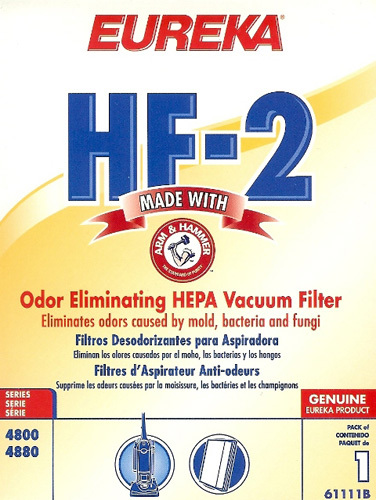 QUALITY: HEPA (High Efficiency Paticulate Air) filter retains 100% of dust mites, grass and ragweed pollens, plus particles 75 times smaller than the human hair. This borocilicate glass miro-fiber media is mini-plated providing over 250 sq. inches of filter media.